Kidz Bop is a brand of compilation albums featuring child session musicians performing contemporary music. The company was founded by Cliff Chenfeld and Craig Balsam in 2001 under Razor & Tie Entertainment. 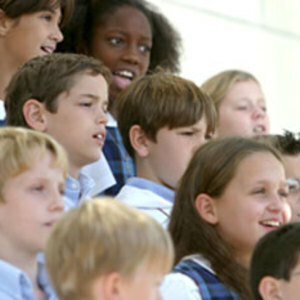 The albums are composed of "kid-friendly" versions of the latest songs on Top 40 radio and are sung by young children. Each year, Kidz Bop releases 2 volume CDs, as well of 4 "music compilations". According to Billboard, three Kidz Bop albums were among the top ten children's albums sold in 2010, including both of the top two albums. Kidz Bop 18 was the #1 kids' album of 2010; Kidz Bop 17 ranked in at #2, and Kidz Bop 16 was #10. In addition to music, the brand also has a social networking and content sharing website, KidzBop.com.and Disney star zendaya was formally on kids bop and now resins on shake it up Chicago.